Owning and riding a motorcycle has long been a symbol of freedom. However, the freedom that a motorcycle provides also increases the chances of injury. In fact, nearly 80% of motorcycle accidents result in either injuries or fatalities. Since motorcycling accidents are so devastating, a motorcyclist can face extensive medical and recovery costs. If you or a family member have recently suffered a motorcycling accident, you don’t have to be resigned to these high costs. At Otorowski Morrow and Golden, PLLC in Seattle, WA, we can help you determine whether the accident resulted from the other driver’s negligence. If so, we can help you develop a plan to gain the compensation you or your loved one needs to ensure an easier recovery. 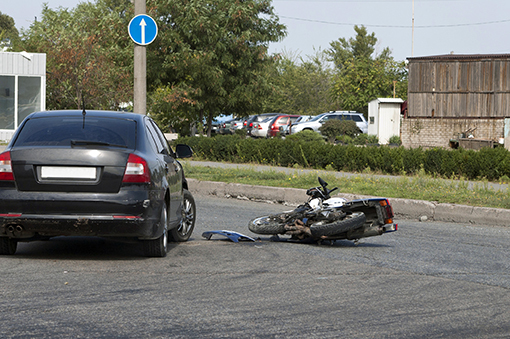 Many motorcycle accidents occur because the driver of a car wasn’t careful around the motorcyclist. Many motorcyclists are struck from the front because drivers don’t take proper care when turning. This kind of inattentiveness allows motorcyclists to sue for negligence and gain compensation to cope with injuries. At Otorowski Morrow and Golden, PLLC, we will evaluate whether the driver who hit you or your family member acted negligently while operating his or her vehicle. We will then construct a case to help you demonstrate the other party’s negligence. We’re prepared to either help you settle or take the case to trial. The lawyers at Otorowski Morrow and Golden, PLLC have the expertise to help you build a solid case. Our lawyers bring a combined 120 years of legal experience to your suit. Our focus on personal injury allows us to be a strong advocate in any motorcycle injury case. When you need a motorcycle accident lawyer, call (206) 842-1000 to start building your case.